If you’ve ever been to a Vietnamese restaurant, you know we love our soups. The most popular Vietnamese noodle soup is, of course, pho. While pho is a national dish, its cousins such as Bun Bo Hue, Hu Tieu, or Bun Rieu deserve just as much attention. I grew up in Vinh Long, Vietnam. For a while, I lived with my grandmother on the country side of Vietnam. My parents and sisters had moved to the city. Because they made this decision in the middle of the year, I had to stay behind with my grandmother to finish the rest of the school semester. I think I was about 9 or 10 years old. Every weekend, I would take the ferry-boat to the city to visit my family, then take the ferry back to my grandma again. My youngest uncle, Cau Ut, was also finishing his high school years and living with my grandma. My grandmother owned a lot of land, which she used partially as rice paddy field. My uncle used to catch a lot of wild crabs from the field, and grandma would use them to make bun rieu. Back then, making bun rieu was hard work. You have to grind the crabs finely to get the meat, or the rieu. We’ve come a long way from then, and it is now much easier to get crab meat. My version of bun rieu is different from the way my grandma used to make. I didn’t use fried tofu or congealed pork blood, but of course, you can add them to your preference. I made this soup while David and I were visiting friends in Houston, TX. Our friends had two lobsters to use, so I added them as part of my ingredients. I was also craving pork belly, so I added that too. Why not?! Enjoy! 1. 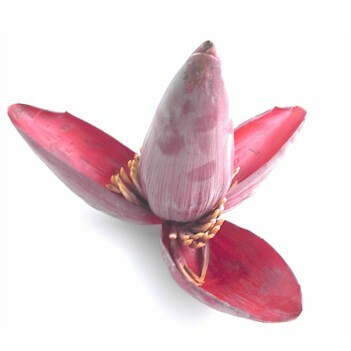 Boil the vermicelli a large pot of water with a generous pinch of salt. Use the package direction as a guide. Once cooked, rinse the vermicelli under running cold water to stop the cooking process and keep them from sticking to each other. Drain well and set aside. 2. Place 8 quarts of water in a stock pot and bring to boil. Add the pork belly, ginger and onion, then boil until the pork no longer oozes pink juice when you poke it with a skewer. Be sure to remove all the impurities that forms above the stock. Once done, remove the pork and let it rest. Discard the ginger and onion. If you’re not using pork belly, skip this part and just heat up or chicken or seafood stock. 3. Lower heat to medium-high. 4. 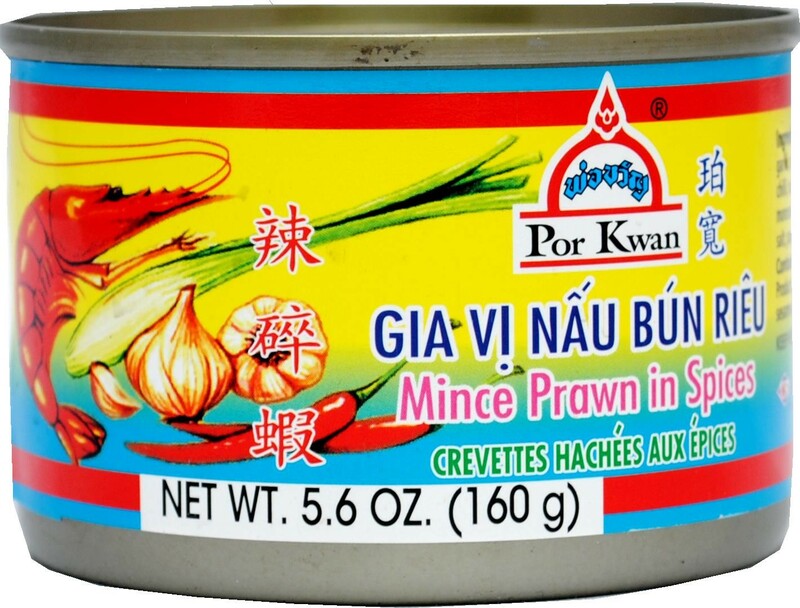 In a mixing bowl, combine lobster meat, 2 cans of minced prawns, 2 jars of shrimp paste in bean oil, and eggs and mix well. 5. Add the meat mixture to the stock pot and let it cook for 10 minutes. Once cooked, the meat will rise to the top. 6. While your meat mixture cooks, warm 1 tbsp of oil in a sautéed pan. Add minced garlic and shallots and sautéed until the shallots are translucent. Add the tomatoes and sautéed until wilted. 7. After your meat is cooked, transfer the sautéed tomatoes to the stock. 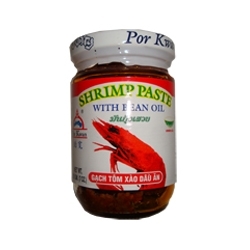 Taste your broth and add fine shrimp paste to increase saltines if needed. Lower heat and let it simmers. 8. Slice your pork belly into thin slices. 8. Assemble your soup by first adding a handful of noodles, add a few slices of pork belly, then ladle the broth, tomatoes, and meat mixture on top. Garnish with chopped cilantro and green onions. 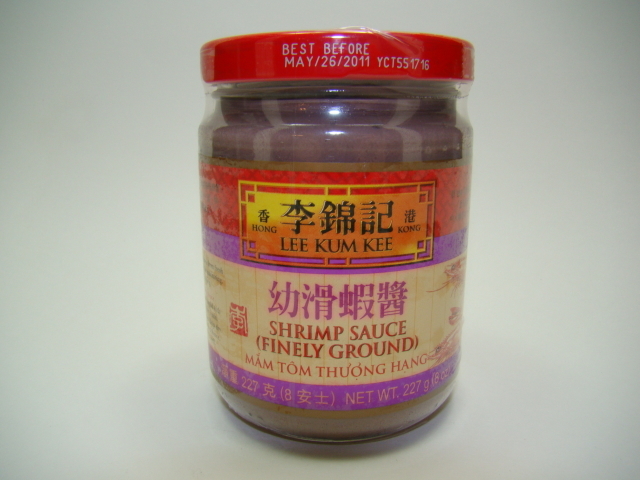 Serve alongside a platter of your veggies, lime wedges, more fine shrimp paste and sriracha. Guests can add veggies and sauces to desired taste.